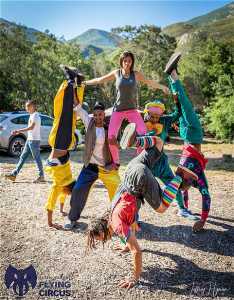 The ActionArte Foundation will hold a week of circus training in Crawford for school kids who will learn skills like juggling and acrobatics. The foundation is an NPO specialised in Social Circus, working with social change and personal empowerment through body movement. The foundation has performed shows and created many workshops both nationally and internationally. During the week, children will learn basic circus skills such as juggling and acrobatics, create human pyramids, and play games. By the end of the week a show will have been created together, that will be performed on the last day, open for family, friends and everyone who want to come and see what we has been earned during the week. All that children need to bring are comfortable clothes they can move in! The holiday programme is open to children aged 8 to15 years.